Historical Note: Most inscriptions on the old tombstones are in “Czech.” It is believed the earliest burial is that of Vaclav, zemrel dne 15 Kvelna 1874; rozeny ve Oseclin V Cechach dne 18 Maje 1831. John Pishney donated an acre of ground for this cemetery. 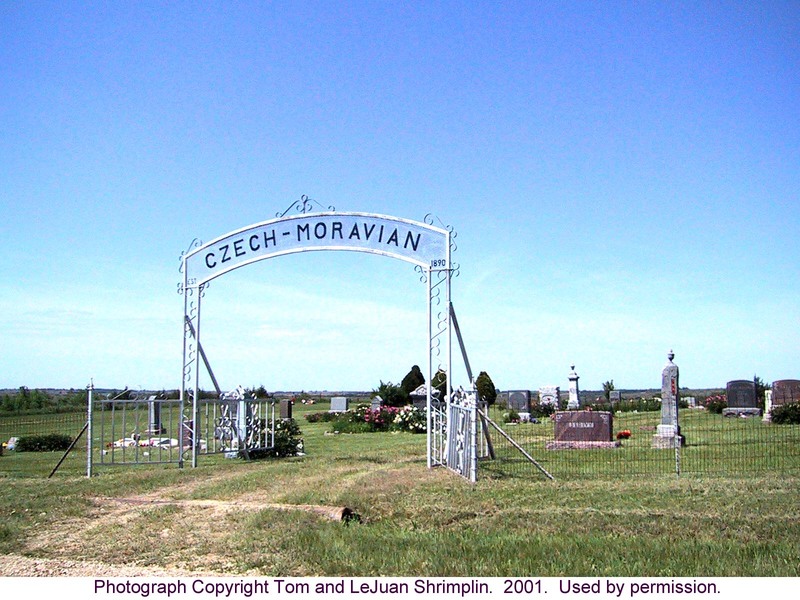 Some dates shown in this cemetery are written in the Czechoslovakian language. The table below lists the English conversion.